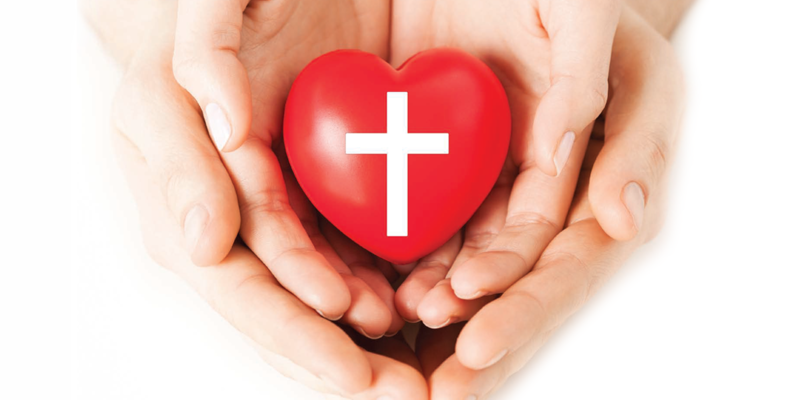 The Pastoral Services Appeal is an annual fundraising appeal of the Orange Catholic Foundation that raises funds on behalf of the Roman Catholic Bishop of Orange. 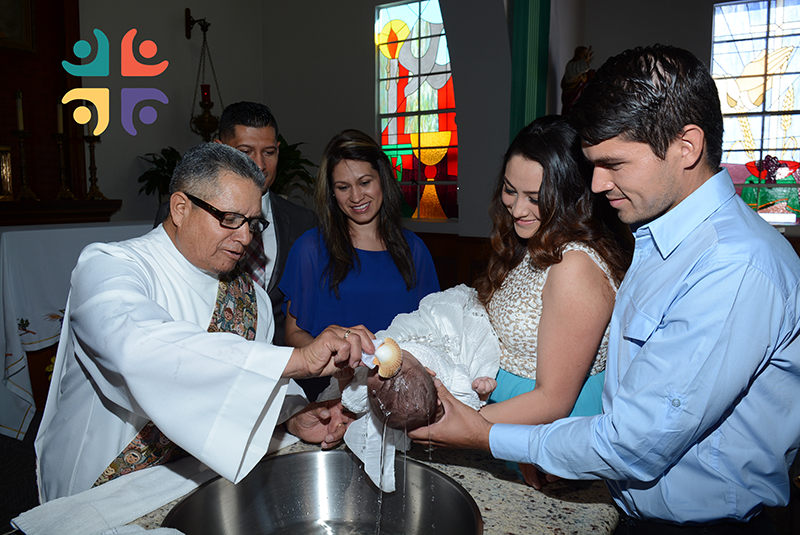 These funds are granted to the Diocese of Orange for financial support of selected diocesan pastoral ministries and services, which serve thousands of people throughout Orange County. 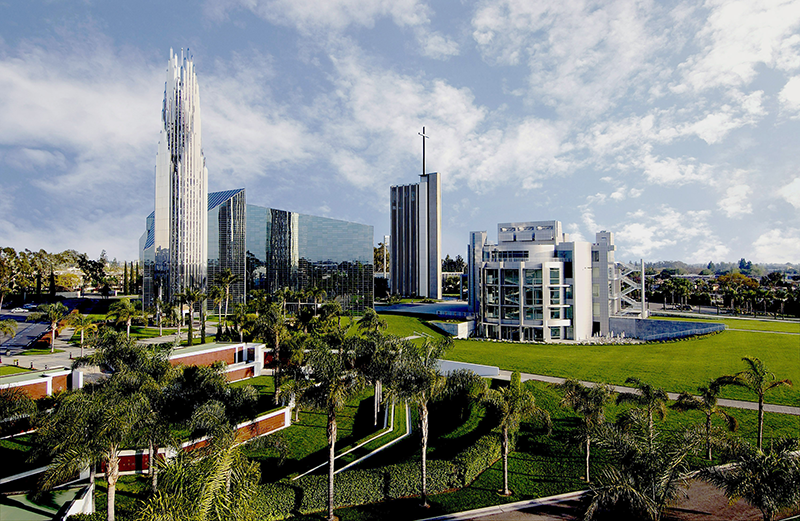 In the autumn of 2011, the Diocese of Orange made an historic acquisition of the Crystal Cathedral campus. 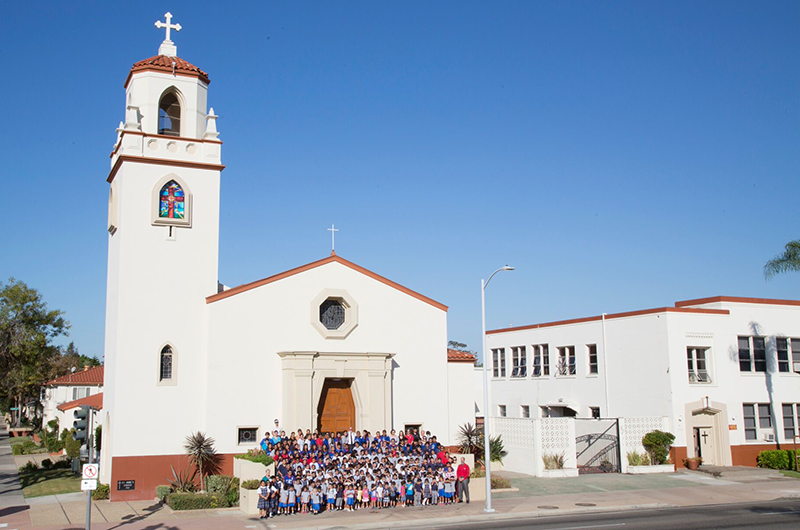 Our campaign underscored that we are truly the whole family of God—not just one parish, or one school, or one institution. 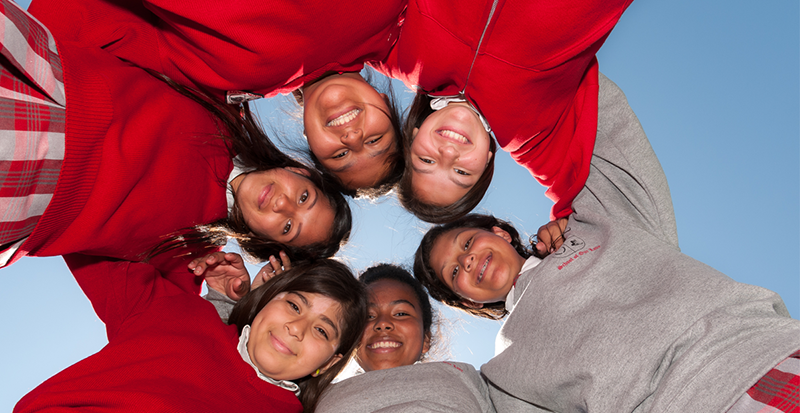 We are everybody together. 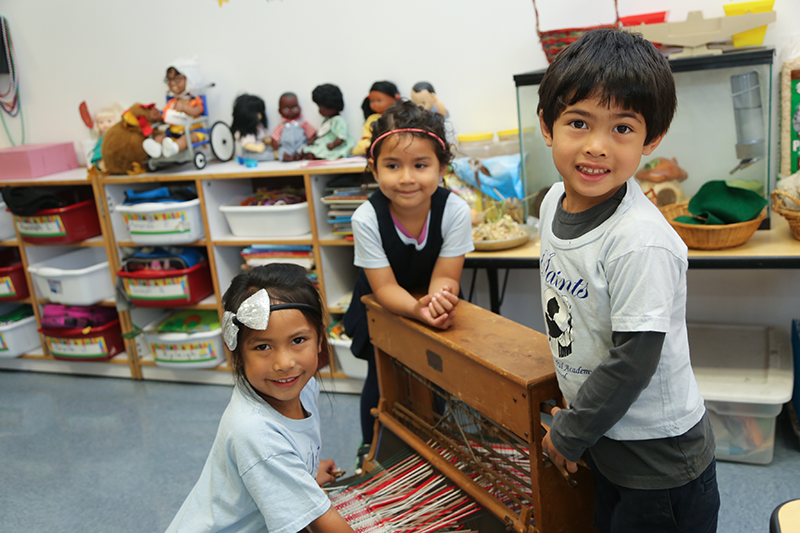 Catholic schools provide opportunities to improve the quality of life, to provide solid Catholic formation, and to raise the bar within our communities. 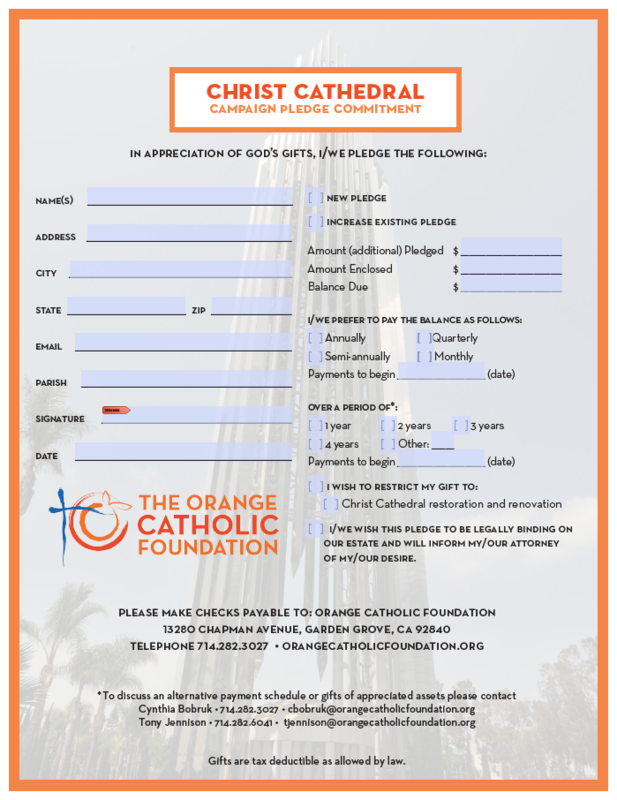 The Orange Catholic Foundation presents many ways to support the Catholic causes you care about most. 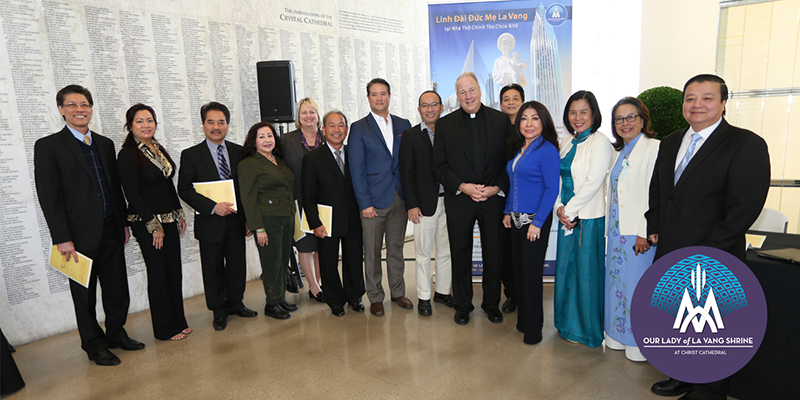 The Vietnamese Catholic Community of Diocese of Orange celebrates the beginning of the La Vang Project, which was enthusiastically approved by Bishop Kevin Vann, to construct an Our Lady of La Vang shrine within the campus of Christ Cathedral. 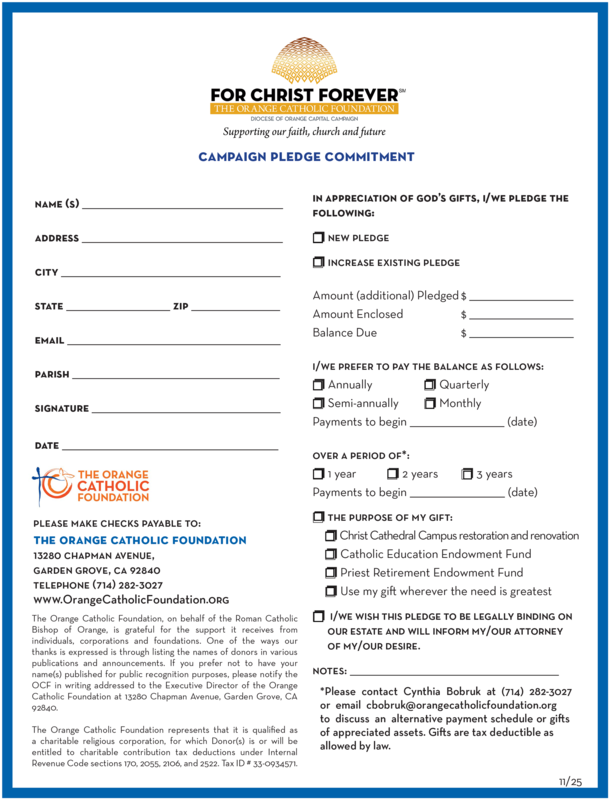 Read more information on the many ways that you can leave a legacy through the Orange Catholic Foundation. View the list of parishes who have kicked off their capital campaigns.